The first of an historic series of 7" singles featuring unique and hard-to-find vintage performances by Jimi Hendrix! In an historic alliance, Sundazed Music has partnered with Experience Hendrix, L.L.C. to release an eye-popping series of new 7" picture-sleeve vinyl singles featuring unique and hard-to-find vintage performances by Jimi Hendrix. The series launches in April with an initial release that combines a pair of historically significant Hendrix recordings from two different 1967 sessions. One is a raucous reading of Bob Dylan's "Can You Please Crawl Out Your Window?" from BBC Radio's Rhythm and Blues show, the other a fascinating, newly discovered take of the Hendrix original "Burning of the Midnight Lamp," as performed on BBC-TV's Top of the Pops. Both sides feature the classic original Jimi Hendrix Experience lineup of Hendrix on guitar and vocals, Noel Redding on bass and Mitch Mitchell on drums, and capture the band just as it was beginning to emerge as a major creative force on both sides of the Atlantic. As with every release in the series, it will feature a color picture sleeve incorporating rare vintage Hendrix photos that capture the legendary artist's distinctive persona and pioneering spirit. In a recording career that spanned only three and a half years prior to his tragic death in 1970 at the age of 27, Jimi Hendrix revolutionized the role of the electric guitar, and radically altered the face of contemporary music. He became rock's first guitar superstar with an effortless charisma that matched his visionary talent to an intensely original performing style. 1. Can You Please Crawl Out Your Window? This initial April 2012 release combines a pair of historically significant recordings from two different Hendrix 1967 BBC sessions. 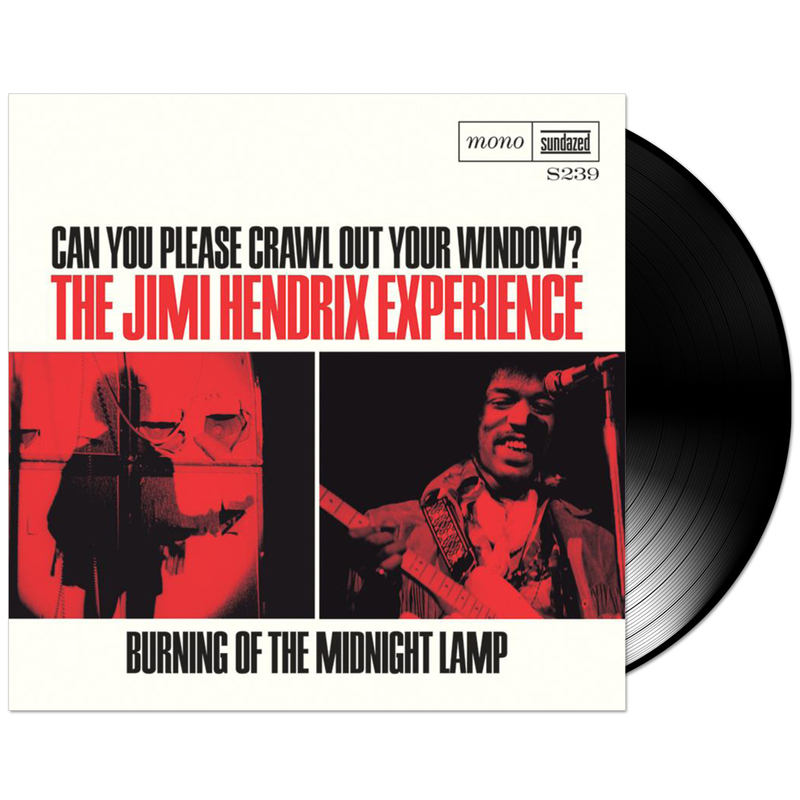 One is a raucous reading of Bob Dylan's "Can You Please Crawl Out Your Window?” which Hendrix recorded on October 17 for BBC Radio's Rhythm and Blues show. Dylan’s original version, one of history’s most notable and enduring musical enigmas, wasn’t released on a legitimate album for more than 10 years after its first issue. This Jimi Hendrix Experience version was a highlight of the BBC Sessions double album issued by Experience Hendrix/Sony Legacy in October 2010. 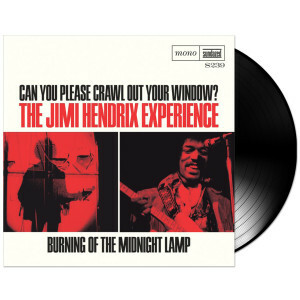 “Can You Please Crawl Out Your Window?” is paired with a fascinating, newly discovered take of the Hendrix original "Burning Of The Midnight Lamp," as performed on August 24,1967 on BBC Television's Top of the Pops, just a week after the song's original studio version had been released as a single in Britain on Track Records. In keeping with strict Musician Union regulations, Jimi was to sing live atop the song's instrumental backing track. The Top Of The Pops presenter announced The Experience, but then ‘The House That Jack Built’ by the Alan Price Set began to play. A few seconds in, Jimi, ever polite, offered an apology, “I'm sorry man but I don't know the words...” As panic no doubt ensued within the studio's control room, the program's flustered presenter apologized and implored Jimi to try it once again.